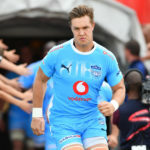 Vodacom Bulls coach Pote Human has confirmed Handré Pollard will captain the side for the rest of the season in the injury-enforced absence of Lood de Jager. 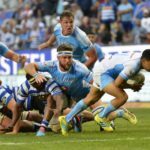 Hanro Liebenberg scored a consolation try for Stade Français in their 49-20 loss to Toulouse. 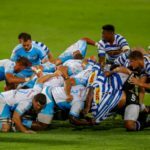 Blue Bulls captain Hanro Liebenberg says he thought only a try would have allowed his side to progress to the final after extra-time in their semi-final loss to Western Province. DYLAN JACK reports. 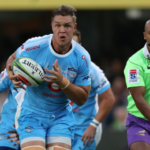 Blue Bulls coach Pote Human has made four changes to his starting XV for their match against the Pumas in Pretoria on Friday. 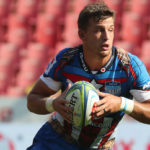 Loose forward Hanro Liebenberg has been appointed as Blue Bulls captain for this year’s Currie Cup.